Today is Father’s Day. I keep thinking of you on this day. You always say that even though we do not have any children of our own, it really does not matter, because you are always surrounded by children and young people through the Young Volunteers’ program that you started in PADETC. You keep reminding me that the young volunteers are like your children, and since we do not have children of our own, you can spend more time working with other people’s children and help guide them and challenge them to think, and direct their energy and creativity in a productive way. 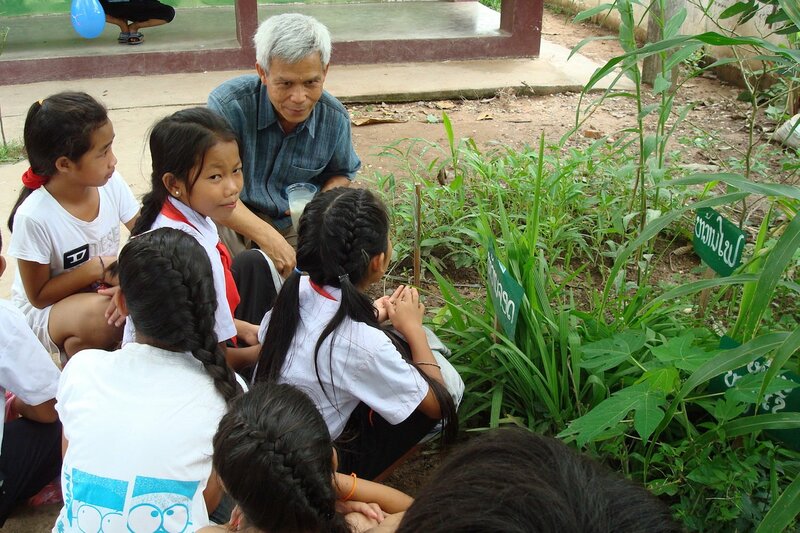 Sombath, you truly love and relate very well with children. You believe that children and young people are special and that the growing-up years are the most important years of their lives. Those are the years you say are critical for developing their values and their world-view for the future. You also believe that learning in schools and from books alone is not enough; children and young people need to learn also from real life and real experiences outside of the classroom. Hence the Young Volunteers’ Program you started in PADETC provided children and young volunteers opportunities to learn from nature through camping, jungle walks, and outdoor expeditions. You also organized for children to learn indigenous knowledge, wisdom, and customs and practices from the old people in their communities and neighboring communities, so that they know how to respect and value the knowledge and skills of their parents and grandparents. You encouraged children and young people to experience living in different communities so as to share and learn from each other. You also worked with the temples to teach meditation to children and young people so that they become more in-tuned with their inner self and learn the value of silence and mindfulness. I do not even know the exact number of children and young people who have participated in the PADETC’s Young Volunteers’ Program – it must have numbered hundreds. I often run into many young Lao who quietly tell me that they are alumni of PADETC’s Volunteers’ Program. Quite a number of them are now married and have children of their own. Many have successful careers in government, in the private sector, as well as in the development field. Interestingly, a few have even followed your footsteps and started their own small organizations focusing on working with young people themselves. I am sure that many of them continue to hold you dearly in their hearts and their minds. So, my dearest Sombath, on this Fathers’ Day, you should be proud that you are a “father” to many young Lao whose lives you have touched and influenced. Your vision and ideas are now carried on by many of these volunteers in one way or another. Sombath, I wish you a Happy Father’s Day. Previous PostPrevious "Enforced disappearances in the Lao PDR alarming"